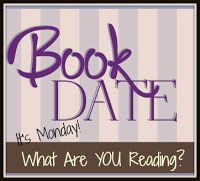 Book By Book: It's Monday 8/6! What Are You Reading? I am excited about Afterworlds. When you mentioned it in our challenge group, I immediately added it to my TBR list... such a clever concept for a book! But I just discovered it's available through a local lending library, so YAY! I hope to get my hands on it in September. Thanks for sharing your reading world, Sue! I really loved it, Shaye! Hope you do, too. I liked the one book by Mary Doria Russell book I read, Dreamers of the Day. My mom really liked her book The Sparrow. I was pretty bad at downloading the SNYC books this year so I didn't get Plus One. Drats! Oh, Anne, I am SO far behind in listening to my SYNC downloads...Plus One is from 2017 (and I just recently listened to one from 2016, too!). See if you have it in your files. Hey Sue! So to see if I understand in Westerfeld's Afterworlds, he writes a book about a girl who writes a book? Is it a little hard to understand/follow? I am definitely adding this to my TBR pile after reading your review. Check out what I am reading this Monday at Oh Hey! Books. Not at all hard to follow! Yes, it's a book within a book, but it is well-organized with alternating chapters that make it clear which story you are in. And there are links between the writing a book story and the actual novel being written. Very cool. I'm ready for fall too! Sounds like everyone is having a good reading week. Glad I'm not the only one :) Enjoy your books this week! And thanks for the help this weekend! The Sparrow sounds really interesting. It would seem the mountains are the place to camp with the heat of your summer, surely will be cooler. Will visit the award profile and hopefully I can endorse it. I'm really enjoying The Sparrow - it was a slowish start but engrossing now. Sci fi sort of plot but very character-driven. I hope it will be cooler up there, too! Well, most of us - our younger son claims to hate reading! But the rest of us enjoy our books. Yes, I agree, Jane! Though I am missing being able to spend time outdoors - hoping it is cool and comfortable where we are next week! I am intrigued by Westerfield's Afterworlds, have enjoyed his books before. And The Sparrow sounds intriguing, too. Thanks, Sue. My son loves thrillers, so will pass your husband's titles on to him. I'm reading book 4 in the Gone series by Michael Grant (YA series) but I'm getting kind of worn out with things a bit and not sure I'll continue this series. Kind of unfortunate! I haven't read the Michael Grant seris, but I really enjoyed a different Gone YA (in the Wake trilogy) by Lisa McMann. Sometimes you just have enough of a series before you get to the end. I don't tend to read a lot of series books, though it's always fun to get wrapped up in one! I hate being hot, but I’m not ready for summer to end. I haven’t accomplished anything yet. I have a bunch of giant books sitting on my shelf. I keep putting them off. Enjoy your upcoming reads! I just finished Stephen King's The Outsider (super good) and am just starting Kristin Hannah's The Great Alone. Another Big Book! You're on a roll, Helen :) I really liked The Great Alone on audio - hope you enjoy it. And on your recommendation, I added The Outsider to my husband's birthday list!